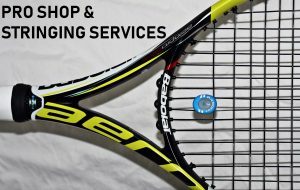 Wessen offers professional racquet stringing services with a 24 hour turnaround – Guaranteed! Stop by the desk, or contact the club at 248-253-9300. We carry Babolat, Wilson and DUNLOP racquets and gear, as well as Vulcan grips. Our racquet stringing services are the BEST in the area, and competitively priced too! Justin has a history steeped in tennis and racquet stringing. A student of Saddlebrook (1986-93,) a 2004 UMass gradate in Psychology and Business, and a Pro Tour Level 1 USRSA Certified Stringer. Justin is a natural gut specialist and became known on ATP Tour for his unique methods for stringing gut. 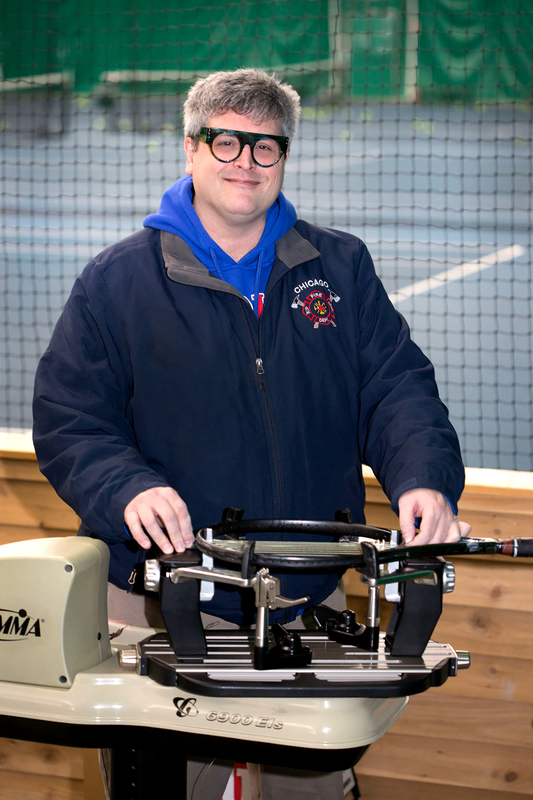 His professional stringing career has included stringing for some of the top ATP players at professional venues nationwide. ATP Tour tournaments include Davis Cup (’99 US vs. Australia), US Open, New Haven, Indian Wells, Miami, Toronto, Montreal, Cincinnati; Challengers, Futures & Satellite level tournaments across North America; Head Stringer at the National Men’s 80’s Longwood Cricket Club; and the list goes on. Some familiar names on the pro tour that have used Justin’s expertise on their racquets include: Marat Safin, Lleyton Hewitt, James Blake, Mardy Fish, Pat Rafter, Gustavo Kuerten, Fernando Gonzalez, Marcelo Rios, and Ernests Gulbis, among others. We are fortunate to have such an experienced stringer at our Club! Stop by and chat with Justin to get some expert advice on racquets and/or your string set-up. A new racquet or string job might be exactly what you need to bring your game to the next level.